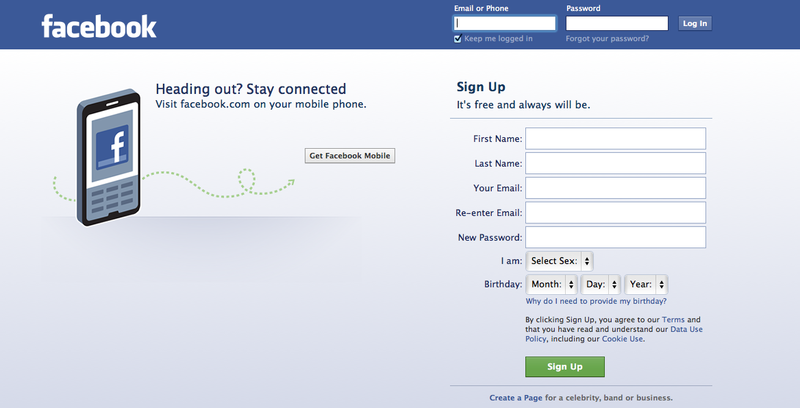 273 Days ’til 40: Facebook: Fanaticism, Fiasco and/or Fun? | Fortuitous Forty!!! ← 274 Days ’til 40: Education: Is it all Wrong??? As I thought about this more, I began to conclude that Facebook is indeed the vehicle for all of the above. 1. Fanaticism. Okay, when a person stops their wedding ceremony to update their profile to say they are married (yes, we have all seen the videos of the groom doing this IN THE MIDDLE OF THE CEREMONY) that is going TOO far – just too far. Facebook does not need to be connected on some sort of cyberspace IV drip….. disconnect, at least for your wedding! Heaven help your new spouse if Facebook came into the bedroom that night! I have also seen multiple labor and post-birth status updates… again… if you are in labor, perhaps, just perhaps, you should focus on the fact that you have a thing the size of a watermelon being pushed out of your body. Ask for an epidural, not a status update! 2. Fiasco. To me the biggest Facebook fiascos are those individuals who start to display parts of their personal life inappropriately ALL over Facebook. I do NOT want to know about you and your ex. I do not want to know that you found out who fathered your child. I do not want to know who cheated on you, who is a scum or that you were screaming at your boyfriend at 4 a.m. And I REALLY do not want to see you screaming at your boyfriend at 4 a.m. on his Facebook page. WAY TOO MUCH INFORMATION. Please, have some decency and self-respect and work out your issues the old-fashioned way – in person, over the telephone or via snail mail. 3. Fun. Yes, Facebook can be a lot of fun! I have posted old photos of friends, reconnected with wonderful people and made new friends. I get to see my friend’s children and my girls get to see photos of their cousins. It has been a gift in this area. Today, 273 days ’til 40, I will remember that there are many things that can be used constructively or destructively. I plan to use Facebook in a constructive way and hope to teach my daughters to do the same. As for those who do not do that, please at least do us the favor of taking your personal lives (the TMI parts) off Facebook. Not to mention the constant whiners!..the ones whose life is never good enough. If its not good enough, get off Facebook and fix it! #1 and #2 are why I left Face Book. I have my moments… I am more inclined to “unfriend” those whose updates I cannot stand then leave FB altogether – I like being able to keep up with family on it. Yes, you bring up such a good point. Facebook can be an amazing social media vehicle (for good and bad) and is accredited to a huge role in the Arab Spring… which is actually, quite phenomenal, when you really think about it…. Cyberspace IV drip . . . I love it! Facebook makes me crazy. It’s has gotten way out of hand. I’m seriously thinking of removing myself from it completely. Totally agree with you – I don’t use Facebook more then post my … blog and playing my CityVille, but even that has lost it’s charm. This with people sorting out their problems on FB, is down to bad judgement – not the right forum, but people don’t have a clue at times. Also FB are not very user friendly when there is a problem with your profile. Yes, so very true! It is as though these people do not have any concept of appropriate boundaries. and one can always block and delete…and what is private and what is public is contested…great conversation! Hehe.. I like your balanced point of view. Yes! Now, if only the people on FB would listen to me!!! Hadn’t been here in awhile, forgot how good your posts were (how do I follow without getting all that extra “stuff” ?…sorry, another issue). Speaking of “stuff”, yes, FB. The Home of Stuff. One hears that with all this social media, it is becoming such a small world, tra la la. I agree with you, if not done consciously, it actually distances us. Thanks for continuing your thoughtul posting. Really good post. I found that I allowed it to affect my mood too much…I now just check out family photos for the most part…Also, I know lots of marriages that got broken up because of it. Good point made by the commenter talking about the Occupy movement. It is useful tool for important issues also. Yes, I can understand that! I also tend to look at photos and spend my time “lurking” more than posting. Like all things and the internet itself (as I keep trying to tell people but they don’t seem to get it…), facebook is simply a tool or a means to an end. It is not anything near an end by itself and never will be, simple as that. People just get so caught up and turn it into their “15 minutes” or boost to their self-esteem or that it validates some very basic need to be praised/accepted or something… I feel a bit bad for you but then I also feel that unless your IQ is deficient, the net and all gives everyone whatever information they need at a moments notice – ignorance is no longer even a valid excuse if you are online and for those who are net savvy/heavy users but learn nothing, for you I have no pity and simple shake my head and hope that you find yourself a recipient of a Darwin Award sometime soon. You made me laugh and I agree with your comments completely! I LOVE the Darwin awards!!! Sometimes I worry my girls may end up with one due to their teenage lack of common sense! You can only do your best and then stand back to catch if there is a fall. Love your post. Great discussions too. I wonder how it is possible to spend all day on line cataloging your pain, food, and problems? I barely have enough time to read all the crap let alone write it. Sometimes I want to scream and remind people, “you’re speaking to the public.” T.M.I. On FB, it’s raining dirt laundry.